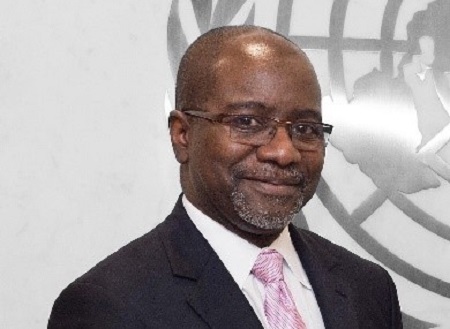 United Nations Secretary-General António Guterres announced today the appointment of Victor Kisob of Cameroon as Assistant Secretary-General and Deputy Executive Director of the United Nations Human Settlements Programme (UN-Habitat). He succeeds Aisa Kirabo Kacyira of Rwanda, to whom the Secretary-General is grateful for her dedicated service to the Organization. Mr. Kisob brings to the position more than two decades of service in human resources management, spanning international affairs, policy, strategy, operations, knowledge management and partnerships. That experience is coupled with a comprehensive background in the field within the United Nations system, in Somalia, Israel, Palestine, Zambia and Ethiopia. Currently the Director of the Learning, Development and Human Resources Services Division in the United Nations Office of Human Resources Management (OHRM) in New York, Mr. Kisob assumed that position in 2015, a time during which he also assumed the responsibilities of Officer-in-Charge and Acting Assistant Secretary-General for Human Resources Management (2016–2017). Mr. Kisob joined the United Nations in 1989 and has served the Organization in various capacities, including Director of the United Nations Ebola Response Liaison Office in New York (2014-2015), Principal Officer of the United Nations Executive Office of the Secretary-General in New York (2012–2014), Chief of Staffing Service in New York (2008–2012) and Chief of Recruitment and Placement at the United Nations Office at Vienna, Austria (2001-2008). The holder of a Bachelor of Science degree in Economics from Saint John’s University in Minnesota, United States, Mr. Kisob also earned a Master of Arts in Development Banking from the American University in Washington DC. In his new role, Mr. Kisob will assist the Under-Secretary-General and Executive Director of UN-Habitat, Maimunah Mohammad Sharif, in the overall management and ongoing reform of the Programme, thereby helping the United Nations achieve its mandate, specifically in the implementation of the New Urban Agenda, Sustainable Development Goal 11 and the urban dimensions of the 2030 Agenda for Sustainable Development. Photo: Mr. Victor Kisob of Cameroon – Assistant Secretary-General and Deputy Executive Director of the United Nations Human Settlements Programme (UN-Habitat). Source: UN-Habitat.